Preheat oven to 375ºF. Line two baking sheets with parchment paper. In a small bowl, whisk together the sugar and cornstarch. In a separate bowl, stir together the blueberries, lemon zest and lemon juice. Pour the sugar-corn starch mixture over the blueberries and using a rubber spatula, gently toss until thoroughly incorporated. Set aside. 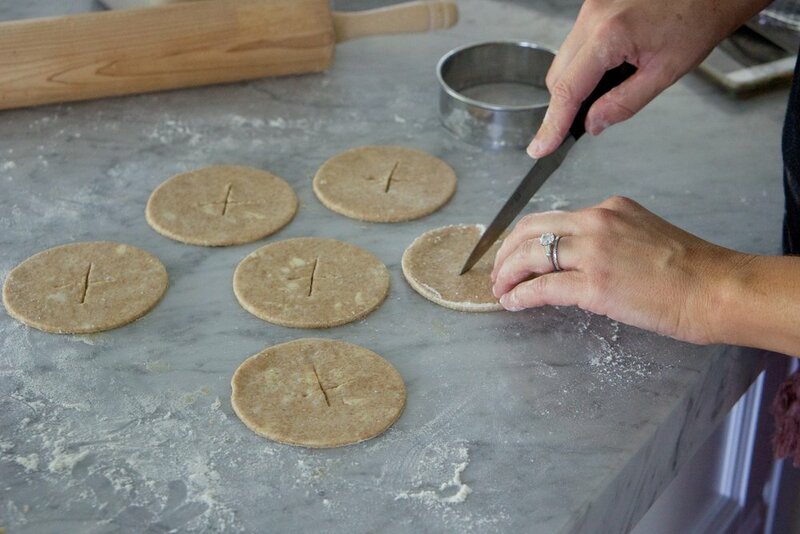 On a lightly floured surface, roll out one of the discs of dough into a 12-inch round. Using a 3- to 4-inch cookie cutter, cut out 6 rounds and place them on the prepared baking sheet (these are the bottoms of your hand pies). On a lightly floured surface, roll out the second disc of dough just as you did the first and cut 6 more rounds. With a pairing knife, make a little slit in the center of each round (these are the tops of your hand pies). 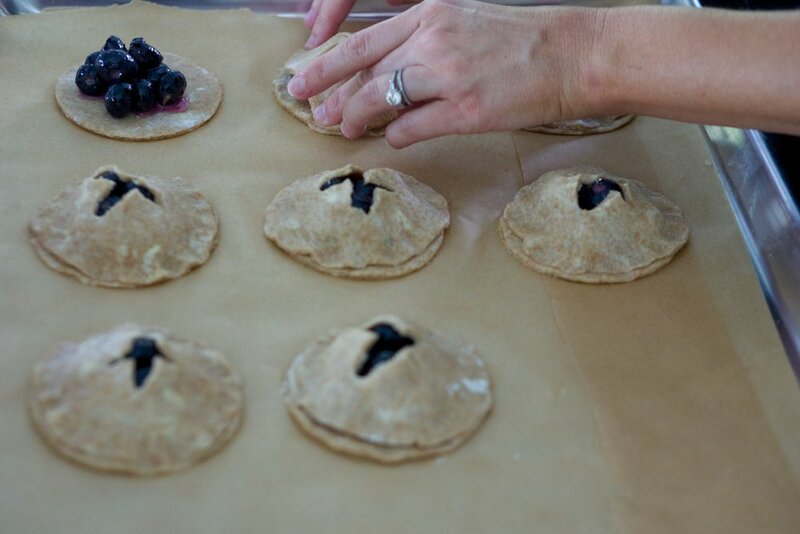 Spoon about 2 Tablespoons of blueberries in the center of the bottom dough rounds, leaving about ¼-inch of a border. Lightly dab the outside of each with water. Place the remaining 6 dough (with the slits) on top and seal the edges together with your fingers, then use a fork to crimp the edges. Whisk egg and water together in a small bowl and brush egg wash on each hand pie, then sprinkle about ¼ teaspoon turbinado sugar on top. Bake for 30-40 minutes or until golden brown and the juices are bubbling. Allow to cool before serving.